My name is Caroline Aitken and I teach permaculture design with Patrick Whitefield, I am also a gardener, a cook and an illustrator, and when I am not doing any of the above I am at home with my husband Doug on our small holding in Dartmoor.At the moment being at home generally means wielding a paintbrush or roller, plastering, insulating concrete floors or other such activities as we continue the ongoing renovations of our house. We have been here since March 2010 and have had quite a project on our hands with the house and gardens, as you can see on the 'Tawny Oaks' page. As I write this I am 37 weeks pregnant with our first child, so our renovations will soon have to slow down as our energy and focus shifts to our little one. Since we have been here we have made some great headway in clearing brambles, repairing glasshouses, making old trees safe, moving bee colonies from dilapidated nationals to top bar hives, reinstating raised beds and renovating the house. Oh, and at the same time in these past couple of years we have got married, built up a local base of gardening clients, I have trained to be a permaculture teacher, written a book and navigated 8 months of pregnancy....so its already been fairly eventful! You can learn more about our various activities on the page tabs above. 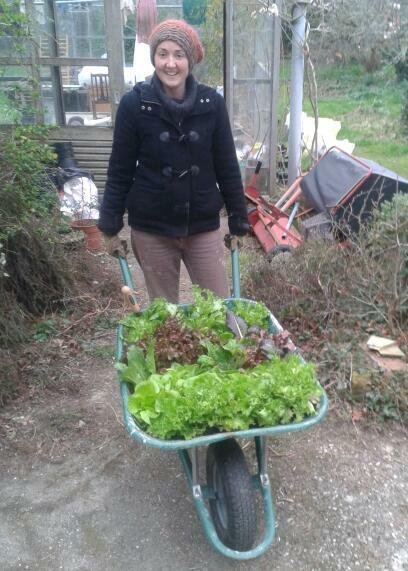 I have started this blog because I have recently made a link between my permaculture teaching and our project here at Tawny Oaks, with my love of food and cooking. Last year I began working with Martin Crawford, founder of the Agroforestry Research Trust based in Dartington (not far from here). We have been writing a book all about how to use the sometimes unusual crops that you grow in a forest garden. Forest gardening is a different way of growing food which uses perennial plants (more about this on other pages) and is becoming ever more popular amongst those with an interest in low impact food production. However, as yet there is little consolidated advice about how to use the crops in the kitchen. 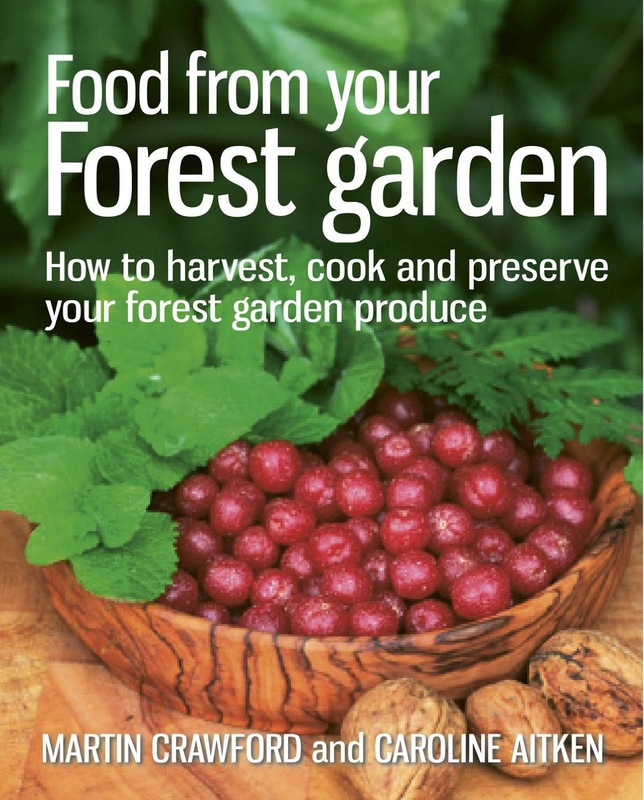 Martin has written several books on how to design and raise a forest garden, such as 'Create a Forest Garden', so the final stage was to give guidance on how to use these wonderful crops once you have grown them! So we have put together a comprehensive guide which includes many recipes and cooking tips including methods of preserving which is due for launch in spring of 2013...more anon. This project has really reawakened my interest in growing and cooking food, and I realised that many of us take a diverse approach to growing and eating, using lots of different methods from forest gardening to traditional annual rotations, to wild food foraging and growing in containers. Therefore, for most if us the most relevant question is 'what is cropping now, and what shall I do with it?' The more we learn how to get the best out of our seasonal produce, the less we will be tempted by unseasonal fruits and vegetables in the shops - we can resist those tempting tomatoes in December, or the appetising aubergines in February which have been flown in from Israel or Mexico. Because instead we will be licking our lips in anticipation of the first pumpkin in September, or the new courgette recipe we've discovered in late summer, just as we'd run out of inspiration for those glorious green glutters! And we can relearn some of the ways that our predecessors used to preserve gluts of particular crops, so we don't need to try and give away the mounds of accidental marrows we've grown to our reluctant neighbours. I would like these pages to inspire and to invite input from readers. I will post seasonal recipes, preserves and cultivation tips, and on the different pages you will find information, links and resources to other relevant websites. As I am about to have a baby, I cant say how long this will take to accomplish, but if you stumble across this blog any time soon, please feel free to contribute, if only to offer a little encouragement to me between feeding and changing the wee bairn! This is my intention, Lets see what grows!